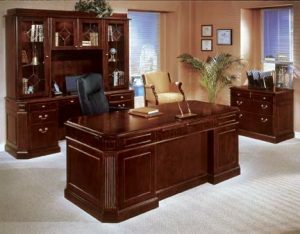 Of all the office furniture suppliers in the Atlanta, Georgia, area, NorthPoint Office Furniture is the premier provider of first-rate new and used office furnishings at budget-friendly prices. Founded in 1994, NorthPoint has supplied homeowners and business owners with office furniture that affords superior durability, paramount comfort, and fashionable designs. By only offering pieces from the industry’s top manufacturers, such as Office Star, HON, Martin, Fairfield, and Global, we guarantee the utmost quality. Unlike the ever-growing number of big box chain stores, NorthPoint Office Furniture’s friendly and knowledgeable furniture experts will take the time to understand your individual needs, budget, and timeline to develop an ideal solution for you. At our conveniently located 8,000-square-foot showroom, we feature fully staged office settings to help you more easily envision the furniture in your own workplace. Our specialists will gladly walk you through the best options available to you and can also offer space planning to help you make the most of your layout. No matter what style or material you are searching for, NorthPoint Office Furniture has you covered. We offer richly ornate traditional styles that are perfect for executive desks and conference room tables, but if that doesn’t suit your preferences, we have transitional and contemporary designs for a modern aesthetic. Additionally, we offer resilient laminate products as well as elegant veneer pieces. For more information on what makes us stand out above the other office furniture suppliers in Atlanta, GA, contact NorthPoint Office Furniture today.